We have worked for over a decade to make our on-site electronic surveying tools the most efficient on the market. We have trained 100s of surveyors and they have captured over 25,000,000 items of data in that time - proving that Tracker Mobile is an incredibly effective tool when carrying out asbestos surveys. 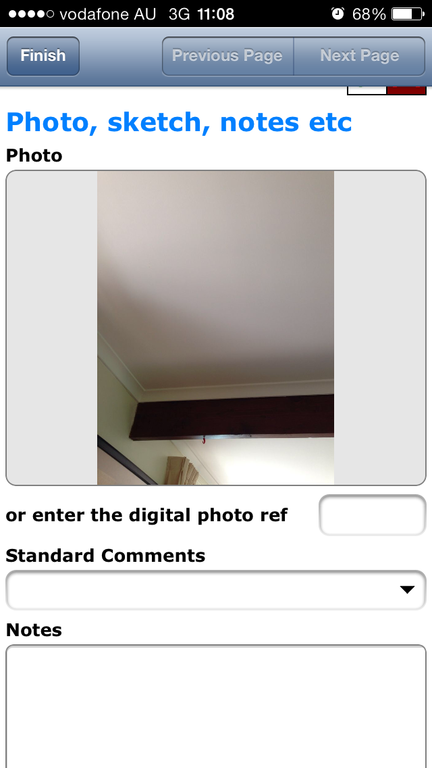 Photos are captured and linked to samples automatically and you can capture both a general and a close-up photo. Every item of data can be geotagged to record automatically the location for future analysis or plotting on Google Maps or Google Earth. 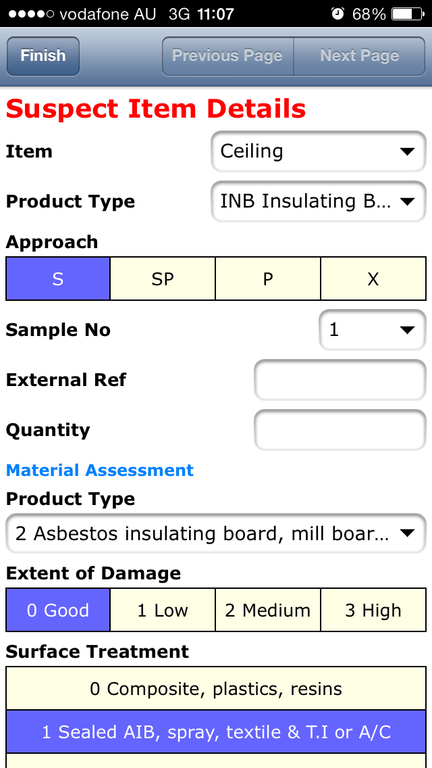 With Tracker Mobile data collection screens tuned for maximum speed and consistency, asbestos surveying with Alpha Tracker is the most efficient and effective it can be. 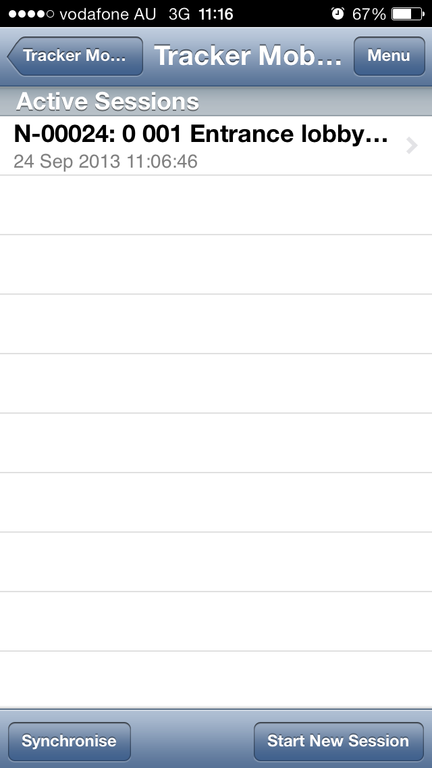 Because we use Android and Apple devices, you and your surveyors have the full range of drawing, CAD and floor plan apps available to use. 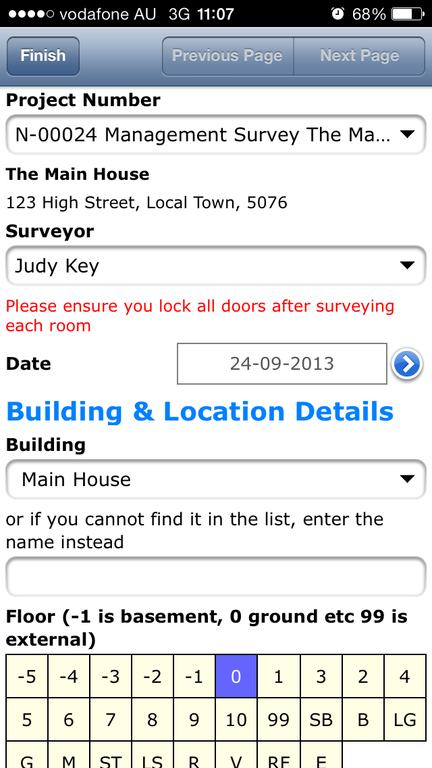 These apps will save their drawings as images which can be incorporated into the data sent in via Tracker Mobile. 3 - What if it is a "no access" room? 5 - Copying a room's data in another room - what a time saver! See the next step: Improve the Lab.